Stock markets are risky. I am sure everyone tells you this and also everyone is aware of this. If investing in stock markets is so risky, why is that most of the retail investors prefer short term trading to long-term investing? The answer is simple, because most of us want to make quick bucks and do not like to wait patiently for long-term to make wealth. I have been tracking Indian Stock markets since 2003, from my MBA days. I still remember about my first stock investment (in 2004) and how I lost my hard-earned money. My first investment was in Ashok Leyland scrip. I remained invested in this stock for just 3 days only. I would have monitored the price of this stock for atleast 100 times over these 3 days :). My aim was to get atleast 5% returns on this investment. I lost patience and sold it for loss on the fourth day. I am sure most of you might have had similar experiences with your stock market investments or atleast would like to make short-term profits. It is not wrong to aim for profits but it is a very high-risk-high-return strategy. Most of us play this short-term investing game without knowing the rules of the game. But that is not easy too. So, let us understand – What is Short term trading? What are the popular short term trading strategies? Why one should avoid short term trading / short term investing in stock markets? Short-term trading refers to those trading strategies in which the time duration between entry (buying) and exit (selling) is within a range of few days to few weeks. These strategies are executed in stock market or Futures market. Short-term trading is sometimes also known as “swing trading,” means holding a position (long or short) for only a few days or less. Day Trading : In this trading strategy, traders buy and sell the stocks on the same day. The main aim of this strategy is to take advantage of daily volatility in share prices. It may seem exciting but can be a very high risk trading strategy. Short Selling : In this strategy, traders first sell shares by borrowing and later on they buy from the open market and return the shares to the lenders. The main aim of this strategy is to take advantage of falling share prices. When traders predict that share prices might fall, they first short-sell the stocks and then buy the same shares when their prices fall. The difference between the two transactions is the profit to the traders. Margin Trading : In this trading strategy, traders buy the stocks on borrowed money. It is like taking a loan from the broker(s) to purchase stocks. Margin trading allows the traders to buy more stock than they would be able to normally. For example, if you were to buy 1000 shares of say Company XYZ, which trades at Rs 500, you will need about Rs 5 lakh. But if you have a margin trading account, you may have to just put 20% of Rs 5 Lakh as margin ie Rs 1 Lakh. The balance amount of Rs 4 Lakh is funded by your broker. You have to pay interest on the borrowed money (ie Rs 4 Lakh). Position Trading : In this type of strategy, the trade may last for few days to few weeks, depending on the price trend. It is like buy-and-hold strategy for shorter period. Brokerage Costs : Whether you make money or not by trading (buying & selling) too frequently, your broker will surely make money on all your stock trades. It is their business to encourage their clients to trade as frequently as possible. So, the more you trade the more are your brokerage expenses. You may lose more than your initial investment. But your broker will still make money. Depository Expenses : Like brokerage expenses, you have to pay Depository fee for every stock trade. So, short-term trading has higher transaction cost than long-term investing. Capital Gains Taxes : If you buy and sell frequently, you have to pay Short Term Capital Gains taxes on your profits. The applicable STCG tax rate is flat 15%. However, if you buy and sell shares after one year (12 months) then capital gains taxes are not applicable (provided Securities Transaction Tax – STT is paid). Increase of Tax liability : If you trade frequently, you may be classified as a ‘Trader’ and the income from such trades would be treated as ‘Business Income’ by the Income Tax Dept. Kindly note that business income is taxed at 30%. Financial Losses : Most of the traders enter into short-term trading to make quick bucks. But if things do not go as planned, they do not cut short the losses but end up riding on losses forever. The losses can be very high. The key to successful trading is to know ‘when to get out of the trade’. Perception about stock markets : Some of my friends who have lost money big time during 2008 stock market crash (mainly due to short-term trading) never invested in stock markets again. No long-term investments too. The saddest thing is, they do not want to invest even in Equity oriented mutual funds. But, equities or equity oriented MFs are the best tools to create long-term wealth. It is not advisable to completely avoid investing in Equity oriented products. These products give you the best chance to beat inflation over the longer run. Short term trading offers you less time to make decisions. Short-term trading gives you less time to react and hence you may end up taking bad and wrong investment decisions. Also, it is very difficult to keep ‘emotions’ out of your investment decisions when you have to make quick decisions. Not all of us have the infrastructure, tools and time to track the stock prices (markets) continuously. To identify the price gaps (if any), you got to be with the markets. In reality, this may not be possible. So, most of the investors end up doing short-term trading influenced by brokers, analysts, colleagues & friends. Investing based on tips, rumors, speculation and blindly following the herd can be very risky. Timing the markets is impossible : The future is always impossible to predict. It is our natural tendency to predict that stock prices will continue raising if they are in uptrend. If the market drops, the same brain tendency is to predict continued dropping. So does this mean that our expectations from the markets are ‘no returns’ ???? So, instead of timing the market, it is always advisable to invest based on your financial goal(s). Anytime is good time to invest. The point is that the market timing is generally a waste of your time, effort, resources and money. 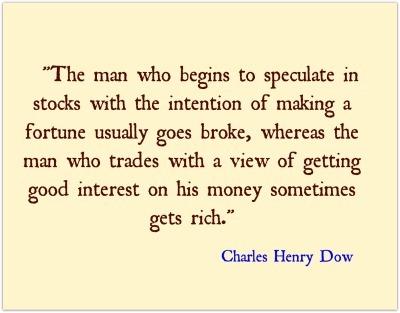 Time in the market is more important than timing the market. Some Traders may say that Short-term trading or investing can be fruitful. 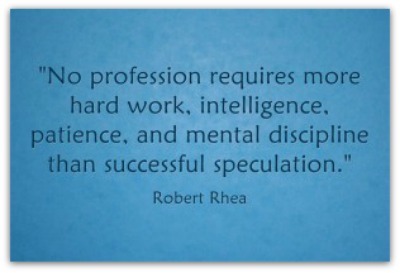 But remember that these so called successful traders may stick to their ‘stop losses’ . However most of the retail investors who want to make quick money ride on losses forever instead of booking losses and getting out of the trade. But for most investors, a longer term approach is absolutely the way to go. The key to short term trading is lots of research and forming a solid short-term investment plan. For the average investor, there simply is not enough time to properly research, create and implement a proper short term investment plan. 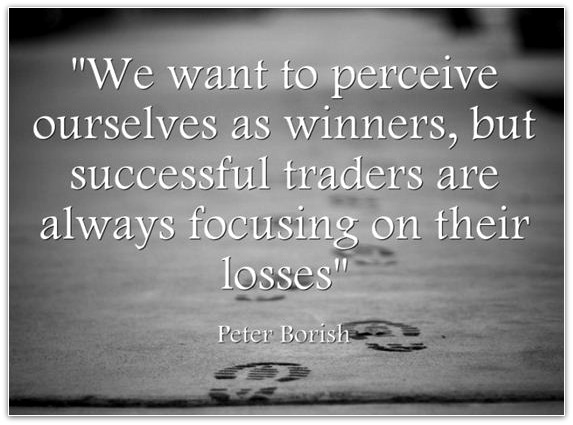 Of course there will always be a few who find success through Short-Term Trading or Timing the market, just as a few will find success winning the lottery. But why try or to take such huge risk when the odds are so heavily stacked against us? We invest in a Time Deposit (Fixed Deposit) and wait for 365 days to get 8% returns. So, why not implement the same strategy with respect to stock market investments. I am not advising you to completely ignore investing in Stock Markets (Equities). I am only stressing on the importance of Long-Term investing in Equities. Give your ‘hard-earned money‘ time to grow. Taking short-term positions in stocks may be the most difficult method for making money in the stock market. Sure, the rewards are huge; you can make a lot of money very quickly by getting the market’s reaction to earnings reports right. But doing so is almost impossible to do repeatedly. You’ll have to predict the reaction of emotional people making emotional decisions about a company based on a few data points. 1. Do i need to have DEMAT & TRADING account BOTH? 2. Which firm/bank would you suggest for me to open demat/& trading account? 1 – If you would like to hold the stocks in de-materialization format and also trade (buy/sell) then you need to have both. Depending on your affordability & investment requirements, you may choose any one from the top stock brokers. I want to hold the stocks & then sell (after 10-15 yrs)…don’t wish to trade, so i need only Demat a/c is it? Please…. Dear PRAKASH…By ‘trade’ i meant it in generic way, to buy and sell and not referring to any tenure. I want to invest in blue chip company stock through a broking fund house. Can u suggest the entire procedure and charges incurred while doing so?? Hello Srikanth, Thanks for all your support. Do you have any idea on PMS services (Portfolio Management Services). I would like to invest 1 Lakh in PMS and ask them to Manage Angel Bro-king services. What do you suggest on this as they know the best time to exit and enter in the Market. I do not have info on Angel PMS services. I received around 1lakh rs. I want to park this money for short term. Can you pls suggest is it prudent to invest in liquid funds (in the wake of falling interest rates scenario). Or Ultra short term funds do well ? 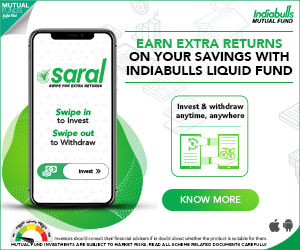 Can u pls suggest best liquid funds. Thank you. Can you please define ‘short term’? If it is for next 12 months, you may consider investing in Short-Term debt fund(s). After reading article on traditional insurance vs term plan, i would like to take term plan. Further i want to get rid of unwanted policies. Can you please see and suggest. regarding LIC policies: I have 5 traditional policies around 48000 per annum. My policies are below. Please suggest if i have to surrender or paid up ! 1 – Consider making it a PAID-UP policy. 3 – You may surrender it. 4 – You may surrender it. But before implementing the above suggestions, you have to buy a term plan with adequate life cover. Thank you for your inputs Srikanth. As always this blogs are much informative. Thanks a lot for that. 2) people are suggesting for long terms investing in equities ( stock market), how would it work, like SIP in mutual funds or ?? Will surely try to publish a post on ‘Arbitrage Funds’. Picking a right stock at the right time for a right financial goal can be altogether a challenging task and recommending few stocks is not a prudent thing on public forum. I am new into stock market. Which broker house shall I opt for less brokarage?? Hi, I am beginner in thestock market, has bought some Share of SBIN 1 month before(still I have it). but I don’t get the funda that how to buy or sell specific equity? Simply I want to learn to invest in share market. Dear Parth..Buy good large-cap (blue-chip) shares and remain invested for long-term. But keep tracking the fundamentals of those companies. Do not invest in stocks with short-term view. If you are not comfortable with equities, you can consider investing in Equity Mutual Funds. 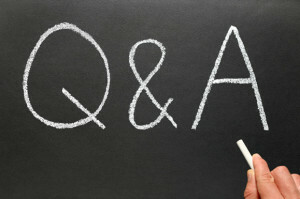 I am again requesting you to notify the questioner via mail for an answer. I forget on which page or date I asked something…..finally I found out the answer. Dear Parth..’Notification by email’, we have already working on this.Thank you for the suggestion! Simply superb points , Shreekanth ! Eye openers for the beginners !! Thanks for your views and suggestions Sreekanth, i was not aware that trading too is considered as a Business income and would be taxed at 30% if anyone does it frequently .